Dental implants are a long-term and appealing solution to replace missing or extracted teeth. 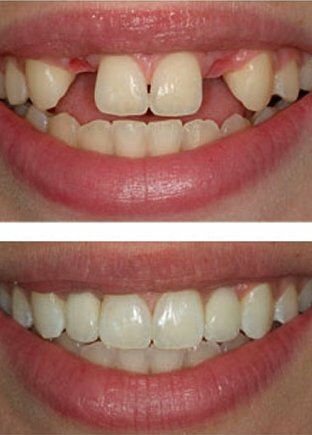 They are often better than other alternatives like bridges because no additional teeth need to be altered to place the new tooth. The entire implant process is usually performed over the course of a few months. The first part of the process is to install the implant itself, where a screw is placed into the jaw bone. This screw is the actual dental implant and replaces the missing tooth root. 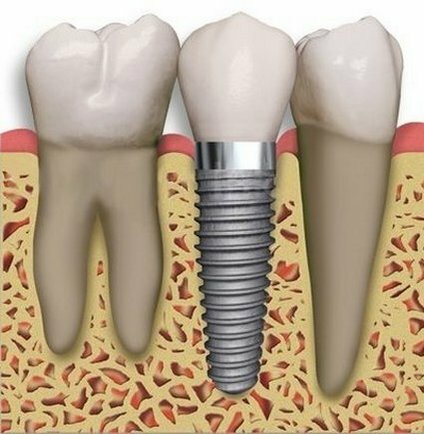 The implant is usually allowed about 3-6 months to heal, and during this time the jaw bone will form around the implant in a process called osseointegration. During this healing time you may have the option of choosing to have temporary teeth placed so that you can eat and speak normally and maintain a proper aesthetic appearance for your smile. After the implant has healed it is time to place an abutment on the implant. The abutment serves as the base for your new tooth. Once this is placed, an impression of the abutment is taken and is used to create your permanent restoration. Once the restoration is completed, you can return to the office to have the restoration permanently placed in your mouth, and after a short period of getting used to the implant it will feel just like one of your own teeth.